At age 17, like a lot of teenagers, Samuel Burns wanted to go to college. Unlike most college-bound 17-year-olds however, Samuel didn’t have a high school degree. Today, Samuel is a first-year master’s student in Applied Anthropology, within the School of Language, Culture, and Society, and the Department of Anthropology. Also, this is his second master’s degree. Samuel in the field in the Allegheny National Forest, Pennsylvania. Photo by Samuel Burns. 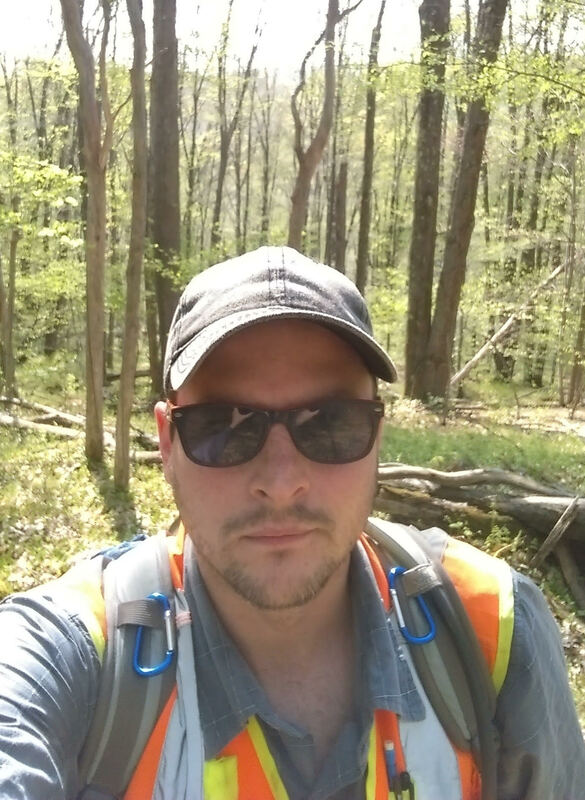 Samuel works with Dr. Loren Davis to investigate the earliest archeological sites in North America, and there are two big questions to answer: when did humans first arrive in North America, and by what route did the earliest humans arrive? 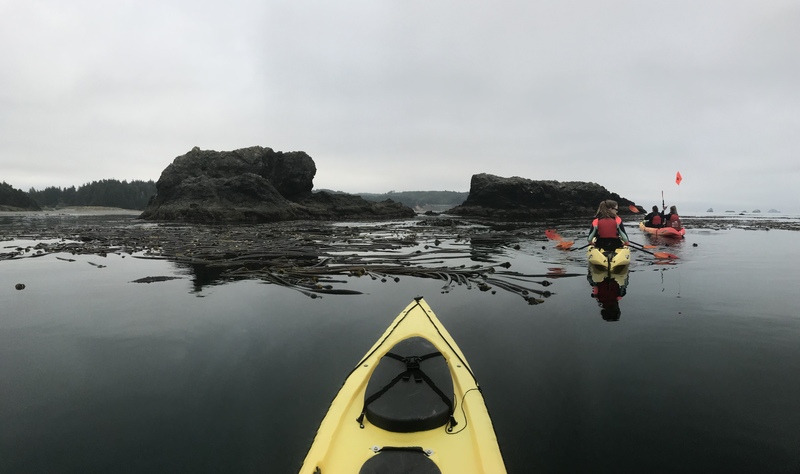 Traditionally, humans are thought to have entered North America through the Rocky Mountains, but more recent evidence suggests that maritime cultures may have arrived first, finding North America via the ocean. The oldest fish hooks in North America are somewhere between ~11,300 to 10,700 years years old and were discovered off the coast of Baja California, Mexico on Cedros Island. 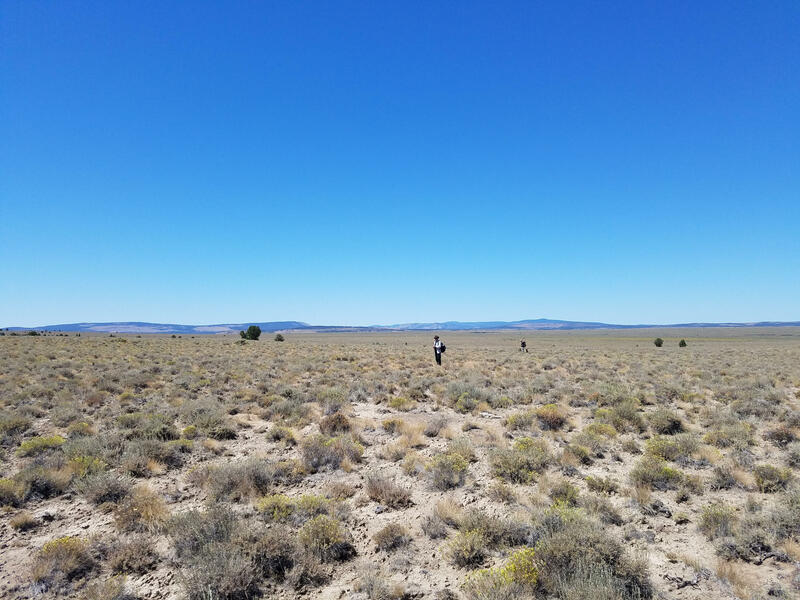 Cedros Island is just one of two archeological sites of interest for Samuel’s research group, and while he has been to Cedros to conduct fieldwork, Samuel’s work focuses on artifacts from one pit in the second site: Cooper’s Ferry in Cottonwood, Idaho, near the Salmon River. From Cooper’s Ferry, seemingly interesting artifacts are brought back to the lab where they are sorted, confirmed to be artifacts, and studied. L-R: Loren White (OSU), Steve Jenevein (Oregon State Parks), and Samuel Burns on board the flight from Cedros Island, Baja California, Mexico after a successful field session in January, 2019. Photo by Samuel Burns. Samuel is able to take the artifacts, make 3D scans of the object, and input this information into a computational program. The computer converts the 3D scans into mathematical shapes and 3D models. So instead of looking at a couple things by eye and estimating if artifacts are similar or different, the program can compare large sets of data with discreet numbers and make conclusions about whether or not two artifacts found in different places have similar shapes. This allows researchers to ask questions about tool development over time and place. To make 3D images, a laser scanner has been used in the past, but this is both expensive and large, so new methods are actively being developed for this purpose. One option is a structured light scanner, which has a light shining through multiple holes. To use a structured light scanner, you place your artifact on a patterned background and take lots of photos at many angles, producing a large amount of data to feed the computer program. Another easier option for 3D modeling is photogrammetry, which only requires a camera and a computer, even just a phone camera will work. This soft ware used is called “GLiMR” (GIS-based Lithic Morphometric Research) and is based on GIS software for modeling geographical landscapes, and the automation and ease of such a program enables archeologists to spend less time collecting numbers and more time assessing these numbers through statistical analyses and asking interesting questions. 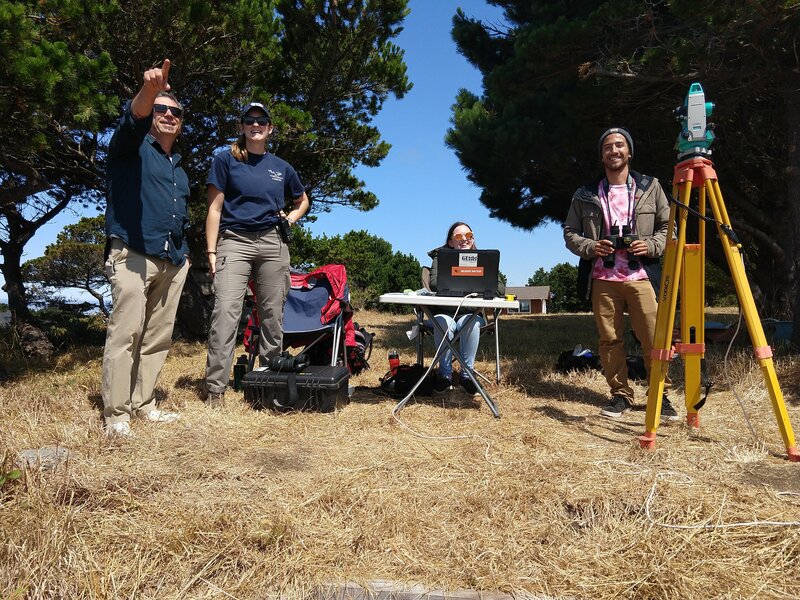 Samuel’s crew lining up to conduct a systematic surface survey near Paulina, Oregon. Photo by Samuel Burns. When you think about ancient North American stone artifacts, megafauna hunting tools like arrow heads and spears come to mind. However, in both the Cedros and Cooper’s Ferry sites, simpler tools are being found that suggest early North Americans exploited a wide range of resources and had a broad-spectrum diet. For example, artifacts found include shell or stone tools for processing fiber to making fishing line. 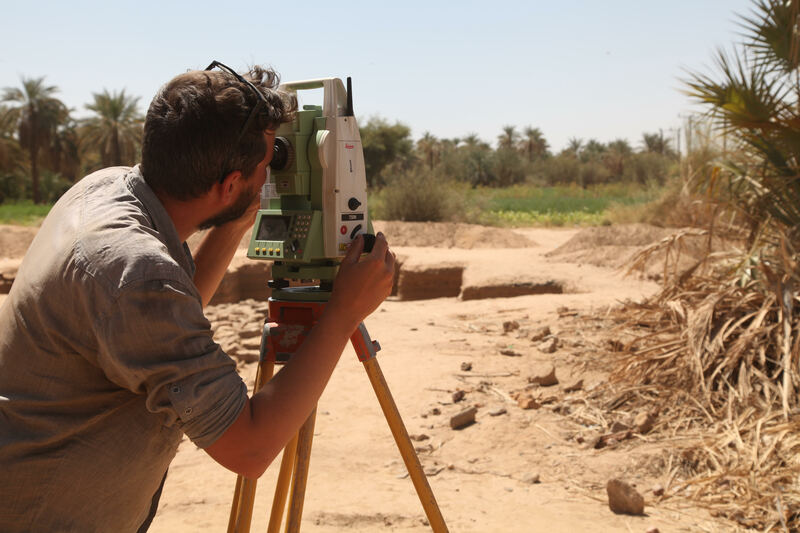 Samuel using a digital total station to take measurements at a Medieval Christian period site at el Kurru, Northern State, Sudan. Photo by Walter De Winter. Growing up, Samuel never went to school and wasn’t homeschooled, but always loved history. He lived in an 1850s farmhouse, and spent his childhood going through old objects from his backyard, left behind over the past 100+ years. At age 17, realizing he wanted to go to college but not having the traditional requirements, Samuel applied to a University in Jerusalem and got in. After spending a year there, he ran out of money, and spent next few years working and moving around the world, including in South Korea and Israel. Eventually, he returned to the US and jumped back into school at a community college in Michigan and ultimately transferred to the University of Michigan, where he focused on ancient cultures and language of middle east. 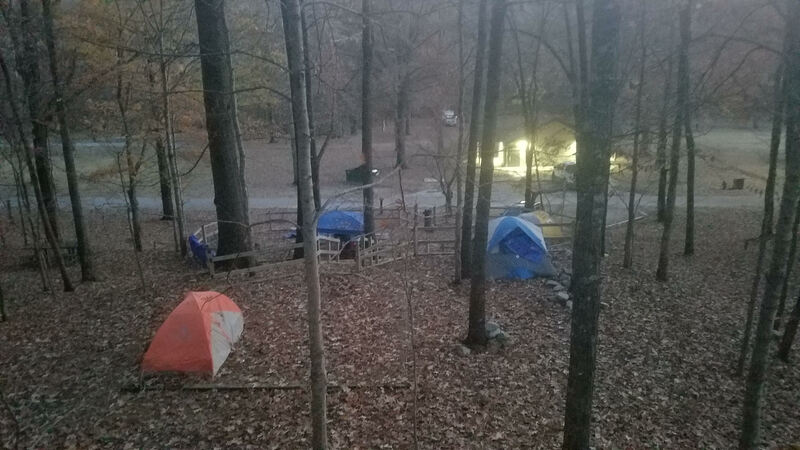 Field camp near Colt, Arkansas, home for 6 months in 2016-2017. Photo by Samuel Burns. Samuel graduated from UM in 2010 and then got a master’s degree at the University of Cambridge in the United Kingdom, focusing on Egyptian studies. This first master’s centered around Syria and unfortunately, this research project was not able to be pursued further, so Samuel spent the next five years working in cultural resource management in the US. Through this job, he was able to travel around the US and soon became interested in North American archeological research. Samuel had a strong liberal arts background but, wanting to expand his earth science knowledge, came to Oregon State. Eventually, Samuel wants to obtain a PhD and work in academia, continuing to formulate and direct research projects. Davis, L. G., Bean, D. W., Nyers, A. J., & Brauner, D. R. (2015). GLiMR: A GIS-Based Method for the Geometric Morphometric Analysis of Artifacts. Lithic Technology, 40(3), 199–217. Des Lauriers, M. R., Davis, L. G., Turnbull, J., Southon, J. R., & Taylor, R. E. (2017). The Earliest Shell Fishhooks from the Americas Reveal Fishing Technology of Pleistocene Maritime Foragers. American Antiquity, 82(3), 498–516. This entry was posted in Anthropology, Applied Anthropology on 2019-02-23 by Heather Forsythe. One of the most difficult hurdles in cancer treatment development is designing a drug that can distinguish between a person’s healthy cells and cancer cells. Cancerous cells take advantage of the body’s already present machinery and biochemical processes, so when we target these processes to kill cancer cells, normal, healthy cells are also destroyed directly or through downstream effects of the drug. The trick to cancer treatment then is to design a drug that kills cancer cells faster than it harms healthy cells. To this end, efforts are being made to understand the finer details that differentiate the anti-cancer effects of a drug from its harmful effects on the individual. This is where the research of Dan Breysse comes in. Dan a third-year master’s student working with Dr. Gary Merrill in the department of Biochemistry and Biophysics. Dan’s research focuses on a common chemotherapy drug, doxorubicin. Doxorubicin has been researched and prescribed for about 40 years and has been used as a template over the years for many other new drug derivatives. This ubiquitous drug can treat many types of cancer but the amount that can be administered is limited by its toxic effect on the individual. Nicknamed “the red death,” doxorubicin is digested and ultimately converted to doxorubicinol, which in high doses can cause severe and fatal heart problems. However, hope lies in the knowledge that doxorubicinol generation is not related to the drug’s ability to kill cancer cells. These mechanisms appear to be separate, meaning that there is potential to prevent the heart problems, while keeping the anti-cancer process active. Cancer cells replicate and build more cellular machinery at a much faster rate than the majority of healthy cells. Doxorubicin is more toxic to fast-replicating cancer cells because its mechanism involves attacking the cells at the DNA level. Dividing cells need to copy DNA, so this aspect of doxorubicin harms dividing cells faster than non-dividing cells. It is common for chemotherapy drugs to target processes more detrimental to rapidly dividing cells which is why hair loss is often associated with cancer treatment. Separately, doxorubicin’s heart toxicity appears to be regulated at the protein level rather than at the DNA level. Doxorubicin is converted into doxorubicinol by an unknown enzyme or group of enzymes. Enzymes are specialized proteins in the cell that help speed up reactions, and if this enzyme is blocked, the reaction won’t occur. For example, an enzyme called “lactase” is used to break down the sugar lactose, found in milk. Lactose intolerance originates from a deficiency in the lactase enzyme. During his time at OSU, Dan has been working to find the enzyme or enzymes turning doxorubicin into doxorubicinol and to understand this chemical reaction more clearly. Past research has identified several potential enzymes, one of which being Carbonyl reductase 1 (CBR1). Doxorubicin is converted to doxorubicinol with the addition of a single hydrogen atom. While at OSU, Dan has ruled out other potential enzymes but has shown that when CBR1 is removed, generation of doxorubicinol is decreased but not completely eliminated, suggesting that it is one of several enzymes involved. In the lab, Dan extracts CBR1 from mouse livers, and measures its ability to produce doxorubicinol by measuring the amount of energy source consumed to carry out the process. To extract and study CBR1, Dan uses a process called “immunoclearing,” which takes advantage of the mammal’s natural immune system. Rabbits are essentially vaccinated with the enzyme of interest, in this case, with CBR1. The rabbit’s immune system recognizes that something foreign has been injected and the system creates CBR1-specific antibodies which can recognize and bind to CBR1. These antibodies are collected from the rabbits and are then used by Dan and other researchers to bind to and purify CBR1 from several fragments of mouse livers. Prior to his time at OSU, Dan obtained a B.S. in Physics with a concentration in Biophysics from James Madison University where he also played the French horn. Realizing he loved to learn about the biological sector of science but not wanting to completely abandon physics, Dan applied to master’s programs specific to biophysics. Ultimately, Dan hopes to go to medical school. During his time at OSU, he has balanced studying for the MCAT, teaching responsibilities, course loads, research, applying to medical schools, and still finds time to play music and occasionally sing a karaoke song or two. To hear more about Dan’s research, tune in Sunday, December 16th at 7 PM on KBVR 88.7 FM, live stream the show at http://www.orangemedianetwork.com/kbvr_fm/, or download our podcast on iTunes! This entry was posted in Biochemistry and Biophysics, College of Science on 2018-12-15 by Heather Forsythe. Wouldn’t it be nice if cancer could simply yell out to let us know where it is, and how much of it is there? Anna St. Lorenz, a 4th year PhD student in the College of Pharmacy, is working on just that. Anna volunteering at Brain Day at OMSI science museum. Anna’s path to scientific research began when she was 8 years old, on a farm, with some chickens and a candle-lit microscope. Anna spent much of her childhood becoming familiar with the local ecology, as well as the Mendelian laws of genetic inheritance that applied to her family’s chicken breeding. However, her first taste of research was in Death Valley. With funding provided through Smith College associated religious programs, Anna studied arsenic-eating-microbes, but thanks to some giant spiders and allergies, Anna decided field research wasn’t for her and moved to a hospital setting. 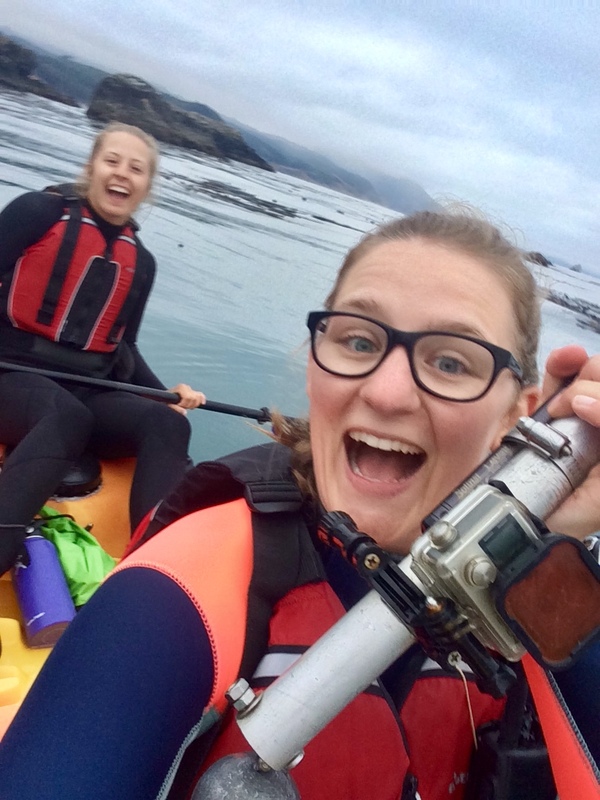 In college, Anna’s scientific education expanded further through multiple internships and unique educational opportunities at Novartis Pharmaceuticals, Dana-Farber Cancer Institute and OHSU. Anna obtained a B.A. in Biology with a minor in Neuroscience from Smith College. Receiving a B.A. rather than a B.S. meant that Anna’s science education was interdisciplinary, and incorporated disciplines such as history and the fine arts. Anna’s love of the arts still persists as she frequently paints and creates “bioart,” which she uses as a means to inform and involve the community on her scientific endeavors. She commonly uses her work with her husband, Grey St. Lorenz, in presentations and has previously collaborated with artists in upstate New York for work on display at local universities. Bioart by Anna. Nanoparticles taken up by an endosome, that then create a pore in the endosome’s membrane to release their payload. It is done in the style of Starry Night and the nanoparticle’s payload matches up with the stars. After completing her undergraduate degree, Anna received a Master’s in Biomedical Engineering from Rensselaer Polytechnic Institute. While finishing up her Master’s degree, Anna moved to Boston and started working at MIT as a nanoparticle research technician within the Langer Lab. It was at MIT that she learned about a new nanoparticle-specific program being implemented in the OSU College of Pharmacy. 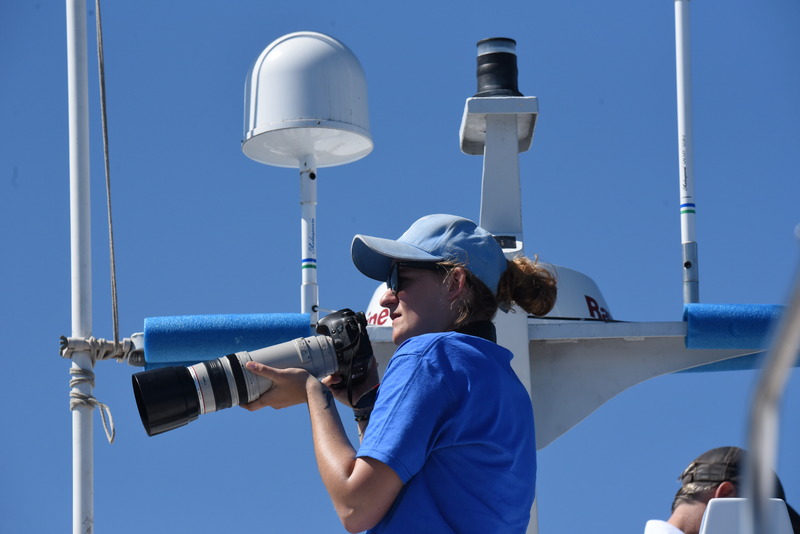 This program is now about four years new and Anna has been at the front line of pioneering this program for future graduate students. In addition to navigating a new program and coping with the regular difficulties of being a graduate student, this OSU nanoparticle program is actually based at the Oregon Health & Science University (OHSU) in Portland. Although challenging at times, as a graduate student researching cancer therapeutic technology, OHSU is great place to be. Anna and the Taratula group. In this program, Anna works with the Taratula group on ovarian cancer diagnosis. As a disease that is traditionally hard to detect at early stages, it is often only after the cancer has spread to other areas of the body in later stages that diagnosis is able to be made. This metastasis results in a worse prognosis and decreased survival rates. To this end, Anna and other researchers and medical professionals are developing nanoparticles to deliver various iterations of imaging agents. Anna’s role in this process is to design more specific nanoparticles to carry various agents through the bloodstream and allow for specific staining of cancerous tissue. Bioart by Anna and Grey St. Lorenz demonstrating a nanoparticle (blue) encapsulating a compound (red) and adorned with targeting antibodies (green). Have you ever used facewash with textured particles in it? Nanoparticles are 1/1000th of that size and are used to envelop or otherwise transport compounds throughout the body and deliver them to more specified regions. This technology can be applied to a variety of compounds to enhance their delivery needs. Solubility issues, tissue or disease specificity, PH, heat, and enzyme specific release are all areas that nanoparticle science delves into to address patient care. So now, the imaging agent, inside of its tiny carrier, can circulate through the body and find the cancerous tissue it’s designed to target. As tumors are characteristically disorganized tissue whose unregulated growth demands increased nutrients, they develop a leaky vasculature which makes it easier for molecules to permeate the tissue. Once the nanoparticle reaches the tumor, it is able to take advantage of the enhanced permeability of tumors to infiltrate and label the cancer cells. An important characteristic of the works is that the compounds use near-infrared (near-IR) light, which can be administered to excite the delivered agents in a spectral range that is largely unaffected by organic tissue. These agents were specifically screened for their ability to convert this light to acoustic/sounds waves that are detectable by ultrasound imaging. This process allows for an enhanced detection and characterization of ovarian cancer – opening the door for effective screening and improved monitoring of this devastating disease. Join us Sunday November 4th at 7PM on 88.7FM, or listen live, to learn more about Anna’s exciting journey to graduate school, bioart, sound-making cancer, and nanoparticles. This entry was posted in Pharmacy on 2018-11-03 by Heather Forsythe.